Since joining Medipharmacy in 2013, Sandeep Khosla has helped modernise the business his parents founded in south-west London in the late 1980s. Most notably, he championed and managed the installation, in 2017, of a dispensing robot to handle the 20-strong chain’s monitored dosage systems (MDS) – an innovation that won it the C+D Business Innovation of the Year Award. But there remained one blind spot in the company’s technology-savvy vision: its website. While Mr Khosla’s father had launched a Medipharmacy site around 2011, it was rarely, if ever, updated. Six years later, it had become a source of embarrassment. “People would come in for interviews and I would say: 'Do you know anything about our company?’ and they would quote old information from the website,” says director of pharmacy Mr Khosla. Mr Khosla got in touch with The Pharmacy Centre, a web hosting company that boasts “gold supplier partner” status with the National Pharmacy Association, and asked it to build a site that served two main functions: provide accurate information about its pharmacies and facilitate online ordering. Nonetheless, Mr Khosla knew the ability to support online orders was a deal-breaker. Although Medipharmacy previously offered phone ordering and a delivery service, he realised this was not sufficient in the digital age. “The population is changing in our pharmacies,” he says. “There is a younger [generation], who are iPhone-savvy and used to Amazon-like models. I knew we had to do something. 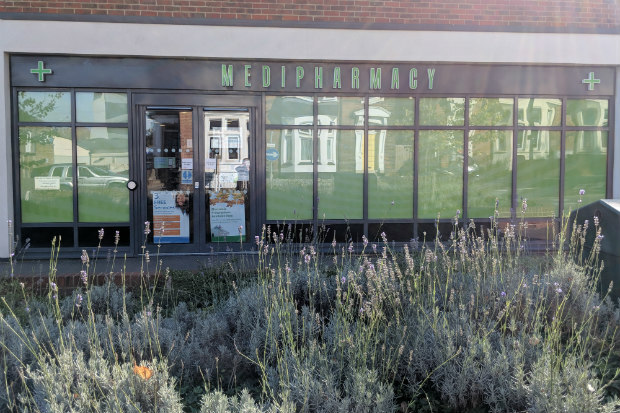 The resulting site, medipharmacygroup.co.uk, launched in November 2017 and proved so successful that it was named Online Initiative of the Year at the 2018 C+D Awards – meaning Medipharmacy picked up two gongs at last year’s ceremony. Since its launch, the site has been expanded to offer retail sales, order tracking via an app and a repeat prescription service (pictured above), as well as healthy living advice – produced by MedicineChest, part of the same company as The Pharmacy Centre. While the technical aspects of the site are managed by MedicineChest, Mr Khosla says it is “more or less run by me” on a daily basis. When store opening hours or services change, this is reflected on the site as quickly as possible. “My whole thing is that I don’t want it [to become] outdated again,” he says. The new site gives staff more time to devote to patients and services, as fewer customers need to phone the pharmacies to have their queries answered. This has led to clear, quantifiable benefits, says Mr Khosla. In the year after the site went live, 18 of the 20 branches completed the full 400 medicines use reviews, while the group delivered 2,000 flu vaccinations. In addition, there has been a 10% increase in the dispensing of NHS items across the company, Mr Khosla says. He believes this is a direct result of Medipharmacy making it easier for patients to order their medicines – and delivering them for free. In addition, Medipharmacy’s patient medication record system is now integrated with local surgeries, meaning that a repeat medication request can be sent directly to the relevant GP, boosting efficiency and negating the need for a printed repeat. 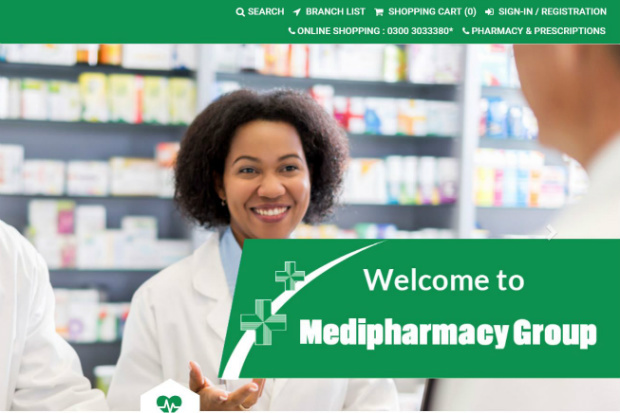 As well as managing the site’s more technical elements, MedicineChest provides the online sales platform for medipharmacygroup.co.uk. Essentially, the site acts as a shop front for MedicineChest, which owns all the stock listed for sale. MedicineChest then pays a share of any profits made via the site to Medipharmacy. It is not a traditional model, but Mr Khosla is pleased with the results. That said, Mr Khosla is wary of alienating older customers by putting too great a focus on online ordering and digital sales. After all, walk-in customers are the “bread and butter” of pharmacy, he says. “If you don't want us to deliver [your medicine], you can come in,” says Mr Khosla. “We are a bricks-and-mortar presence, we're here and we can provide you with advice on a medicine [or] provide a service. In any case, he says, increased marketing on the site has driven visits to the pharmacies. Mr Khosla tells C+D that technology forms a part of his ongoing plans to develop the Medipharmacy brand. At present, the company works with 40 care homes, providing repeat medicines with the help of its dispensing robot. These care homes have now started processing their repeats online, which should further improve efficiency and safety, he says. Could you win the Online Initiative of the Year C+D Award in 2019? Entries for all 14 categories – including the new Locum of the Year Award – are now open, so find out more and enter below. Could you take home the Online Initiative of the Year at the 2019 C+D Awards? Aren’t medipharmacy selling 16 of their pharmacies? There was an article in the C&D at the end of last year I think? Then the CCG stop third-party ordering and your website functionality is gone. There are GP-focused apps now that are going to try and control the ordering of prescriptions too. MyGP, Healthera etc.